For most people, disc injuries are years in the making and don't just happen. The disc is very strong and when it's with in a normal structure (normal spinal alignment), it can withstand some pretty heavy forces. As a matter of fact, sometimes the vertebrae will fracture before the disc gives out. Our lifestyles and the choices we make on activities generally determine our health. This include the health of our discs and spine. Back to the choices we have to resolve the back pain...there are many. 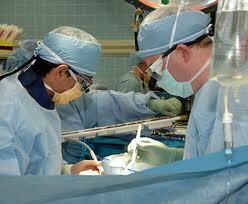 I think it human nature for a lot of people to look for the easy way out and that is why surgery is so attractive. It could also be that they were only given a few choices by their MD and they tried with not success and next on the list is surgery. Whatever the reason it still falls short. The injured disc, or even just back pain, is an end result of other dysfunctions that occurred previously in the body. Poor ergonomics, improper lifting, too much sitting, etc... leading to an abnormal spinal structure putting abnormal forces on the disc and so on. By the way, the only way to determine the extent of an abnormal structure is with weight bearing x-rays with a properly aligned x-ray system. This is the blue print of your spine. MRI are good for discs, not spinal alignment. Is this starting to make sense? Do you think it might be important to address those issues to correct this problem? Do you believe cortisone shots will do this? Now do you think surgery will do this? "This sounds like a lot of work." Yes it is. There is no silver bullet. I am not talking about uncomplicated low back pain. This is usually chronic and /or disc related. I've seen more than my fair share of back pain patients over the past 15 years. Some who have even had multiple surgeries with limited success. I have even recommended some to get back surgery. Not everyone is a candidate for our services. If you or someone you know is suffering with chronic lower back pain or a disc injury, call our office for a complimentary consultation. Its a conversation, not a commitment.